This are my characters for the role play game Society 8. Even though it should be in role play for that reason, It's also a fan fiction: These designs has been on my mind for the past few years, but haven't had a reason to put it in hard form until recently. PREPARE FOR MASSIVE WALL OF TEXT. Shorthands: Many shorthands are used in this document. 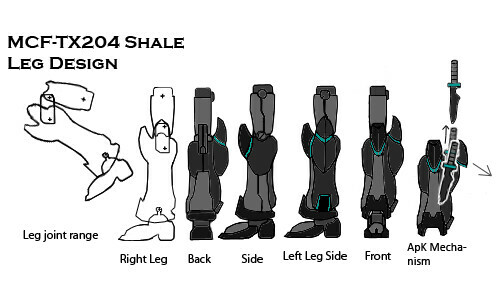 Please use this guide as a reference. Leading military producer of it's time, NOVUS specialises in mechanical weaponry and CF. Models vary from stationary base defences to heavy artillery platforms to light assault frames. 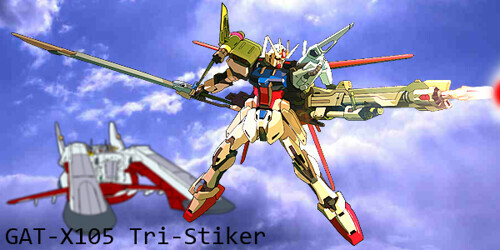 Pioneered the CF, and uses it as the main method of piloting, as human bodies are fragile. Military corporation that leans more to public relations than military development; famed as protector of the common people. 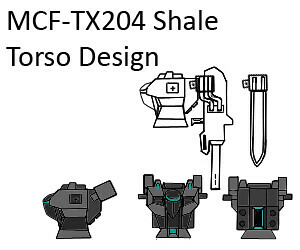 MX lab's Head Scientist A.C. devised most experimental technologies used in the MCF-TX204, and also single-handedly supervised construction of the CF in NOVUS' Military Hanger 02. Chief of weapons development (R&D) for MX corp. Develops weapons and equipment for MX personnel, as well as for general use by the public. Developer of the famous 'Strumfaust' Rocket Harpoon. A relativley new technology, just less than a decade old. In theory, it eliminates the need for human soldiers, resulting in a far more efficient army. Uses a crystal matrix that contains the soul of a human; this eliminates the need for nutrients and sustenance. The crystals are installed in a modular metal module, allowing it to be inserted into any CF. Used mostly for military operations, although it has been know that some civilians have chosen to be placed inside a CF. Weapons system developed by MX corp. 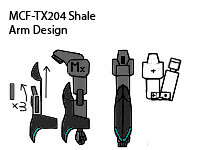 Uses modular weapons that share the same type of weapon mount, allowing it to be mounted universally on a MX-node. -Does not use slots, but HhB or HhR cannot be equipped while SC is equipped. -Piercing; rounds will pierce metal, deal medium damage to reactive. -Explosive; rounds will explode on impact, dealing medium damage to reactive. -Beam; uses beam particles to transfer high amounts of energy to the target. particles have mass. -Plasma; fires plasma (excited gases) at target, uses gases as ammunition. Requires considerable amount of energy to fire. -Piercing type; can punch a hole through steel, concrete, etc. EDIT: Updated with all pics but the equipment (working on it), and included Blue Demon's specs as well. Military corporation that leans more to public relations than military development; famed as protector of the common people. MX lab's Head Scientist A.C. devised most experimental technologies used in the MCF-AX105, and also single-handedly supervised construction of the CF in NOVUS' Military Hanger 01. Nico wrote: MX lab's Head Scientist A.C. devised most experimental technologies used in the MCF-TX204, and also single-handedly supervised construction of the CF in NOVUS' Military Hanger 02. Nico wrote: and also single-handedly supervised construction of the CF in NOVUS' Military Hanger 02. HEY A.C! You didn't add any extra zeroes in your calculations! Glad you learned from the cannon incident! Now, back to work *Calvin heads off to train new MX recruits*.